Sign-up and receive Property Email Alerts of Residential New Developments in Kenilworth Upper, Cape Town. 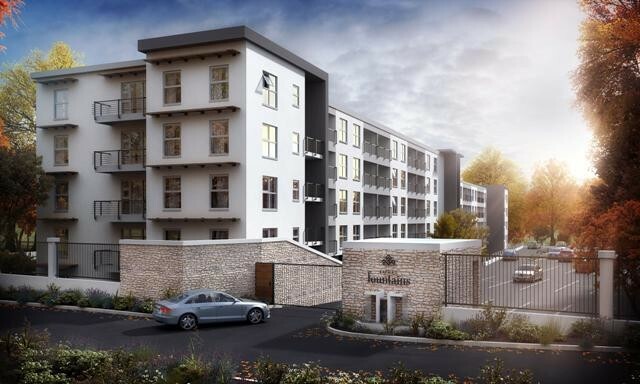 A breath-taking development located in the heart of the rustic suburb of Upper Kenilworth, Three Fountains has it all. Offering the perfect state-of-the art security and easy access to local amenities such as Cavendish Square, UCT and Sahara Park Newlands. Close traffic connections to the M5 and public transport. The development is protected by 24-hour manned security further aided by state of the art technology including CCTV cameras and electric perimeter fencing. All prices are inclusive of VAT and all apartments include at least one secure parking bay. Natural stone kitchen tops and quality cupboard doors. Offers a variety of slick ceramic tile and cosy carpet flooring options with optional luxury upgrades.